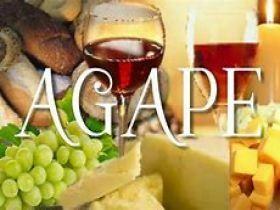 This years Maundy Thursday Agape Meal is being hosted by St James' Church. The evening consists of a meal and a service of Holy Communion. The meal can be either Lamb stew or a vegetarian alternative. Rev Heather needs to know numbers attending for catering purposes and dietary requirements. The evening starts at 7pm. If you wish to attend please contact Reverend Heather on 0151 639 5844 or email info@stjameswithemmanuel.uk or revheatheratkinson@gmail.com.